Kerala, better known as the "God's Own Country" with its pristine natural beauty and colourful culture has been named under "50 Places of a Lifetime" list by the prestigious National Geographic Traveller magazine. The picturesque Kerala is flanked by Arabian Sea in the West and Western Ghat mountain ranges in the East. Backwaters, mountains, waterfalls, the native cuisine and the ever welcoming people, all of it makes Kerala one of the most sought after holiday destinations in India. No doubt, the state is counted among the "Ten Paradises of the Word" by several global tourism providers. In this 04 nights/05 days Highlights of Kerala Tour package, we take you to this paradise that every traveller wish to visit at least once in his/her lifetime. In 5 days we cover the highlights of Kerala and it is guaranteed you will come again for more of Kerala for your next holiday. Come and explore the God’s most loving creation- Kerala! 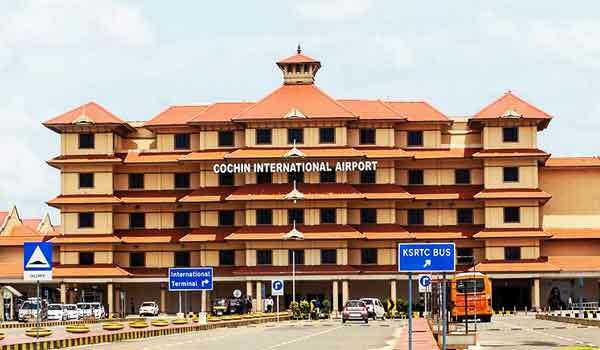 Today on your arrival at Cochin airport, you will be greeted by our company executive and transferred to your hotel in Cochin. Check in to the hotel and rest of the day is at leisure. In the evening if time permits and you wish, you can watch the Kerala traditional Kathakali Dance Show (optional). Kathakali is the traditional art form indigenous to the state Kerala and something that appeals art lovers all over the world. Today we drive to Munnar, probably the most sought after hill station in South India. It’s beauty is beyond words and is something that must be experienced rather than said. En-route visit Valera & Cheeyappara waterfalls. On reaching Munnar check in to the hotel and relax. 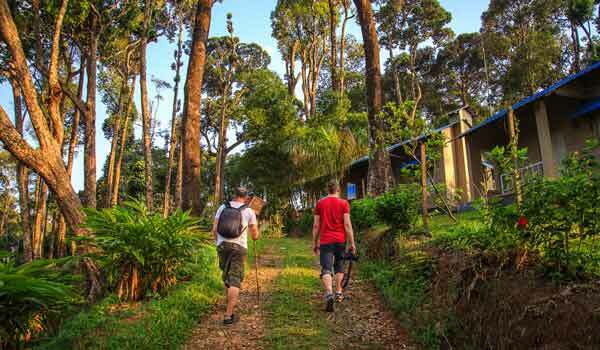 If you wish, try a nature walk in the evening and enjoy the pleasant cool weather and some stunning sights of the Munnar Hills. Today post your breakfast, proceed for full day Munnar sightseeing. This hillstation has a lot of places where you would enjoy the essence of Munnar. 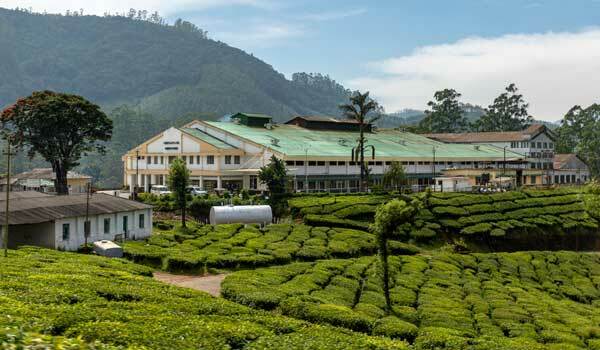 Tea plantations, sky- high mountains, wildlife and more. Visit the Eravikulam National Park, Tea Museum (Closed on Mondays), Mattupetty Dam & Echo Point. Evening you are free to explore, stroll along the local market OR enjoy a rejuvenating Ayurveda massage on your own. Today drive to the most famous backwater destination in the whole World, the Alleppey backwaters. 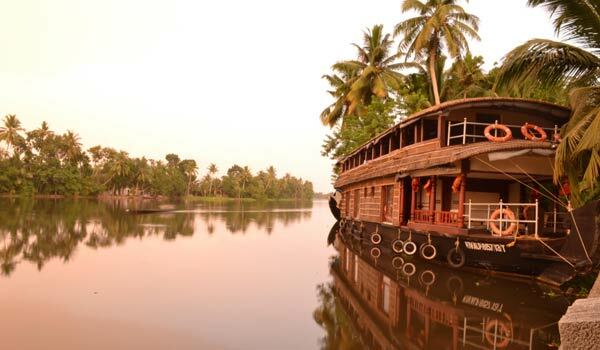 The best way to enjoy the backwaters is a houseboat. Embark the houseboat we make ready for you in Alleppey at 12noon and enjoy an exciting cruise along the breathtaking backwaters of Alleppey. You would pass through lush green paddy fields, narrow canals, local market and lot more during your houseboat cruise. Also do not relish the delicious Kerala food on a full board basis prepared exclusively for you by in house expert Kerala cook. Today morning after your breakfast in houseboat, disembark from the houseboat at 9AM and drive to Cochin to do the sightseeing of Fort Cochin & shopping at MG road. 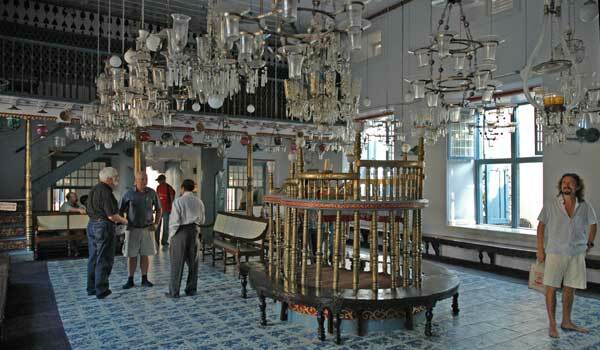 You would visit the famous Dutch Palace, St. Francis Church, the Jewish Synagogue and Chinese Fishing Nets [Please note, Fort Cochin sightseeing is possible depending upon your flight/train departure timings). Later you will be transferred to the airport/railway station as per the schedule for your onward journey with sweet memories of the tour.